Vision: To be the flagship Cooperative Society in Nigeria and to nurture a winning network of Cooperatives and members. NNPC Staff Cooperative Multipurpose Society Limited is registered under the Cooperative Law of Lagos State and was founded in 1979 with the sole objective of providing quality and efficient services to her members, anchored on improving their economic and social well being. Inauguration of the NNPC Cooperative Multipurpose Society Mega Station Operational Review Committee on 12th February 2018. All Auctions are open from Today 4th December 2017 and closes on the 3rd January 2018. Interested member should fill the attached form and submit it to Mr. Issa Ghali at the Secretariat. Please note that highest bidder will be the winner. This is to inform all members that an Ordinary General Meeting of the Society is slated for 19th October, 2017 at Regency Hall, Otunba Jobi-Fele Way, MKO Abiola Garden, Alausa, Ikeja – Lagos by 10:00 am prompt. For Trustee position i.e. President, President and Treasurer, such member must have served in NNPC, DPR etc for at least 20 years. For other positions i.e. Vice President, Assistant President, Assistant Treasurer, Financial Secretary and Supervisory Committee Members, such member must have served in NNPC, DPR etc for at least 15 years. Such member must have joined the Society for not less than 12 years and must have maintained unbroken membership during the period. All the above conditions (I-IV) must be met before a member can be qualified to contest election. No former trustee officer, that is, President, President and Treasurer can re-contest for the same position after the expiration of his/her two-term tenure whether the tenure ran concurrently or otherwise. Nomination forms are obtainable from the Society’s Secretariat at no 23A Adeyemi Lawson Street, Ikoyi, Lagos. 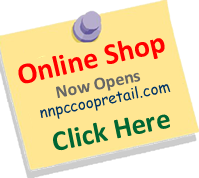 Also the forms can be downloaded from our website www.nnpccoop.coop. Completed nomination forms must be returned and submitted to Mr. Issa Ghali at the Secretariat on or before 4th October, 2017. Please note that accreditation starts from 10am to 12.00noon after which election will commence immediately. You are hereby enjoined to be punctual and come along with your PASSBOOKS, STAFF IDENTITY CARDS AND CURRENT PAYSLIPS as means of identification. Four (4) units of 3 Bedroom flats with 2 Toilets each situated at a conducive environment in Akoka – Yaba, Lagos are available for sale. Interested buyer should contact 07032973114. Minutes of Annual General Meeting of the Cooperative Held at the Conference and Exhibtion Center, Lagos Chamber of Commerce & Industry, Ikeja - Lagos on April 30, 2015. President - Mr. J. A. Ojeyemi Speech on Conferment of Most Outstanding Cooperative Leader in Lagos State by Lagos State Ministry of Cooperatives and Agriculture. President - Mr. J. A. Ojeyemi Speech at 2013 AGM.